Time for another linkfest. With the Dark of the Moon news down to just the upcoming home video releases and repaints, figured time to merge this stuff into one. Have not decided if will start seperating this stuff out yet into a bunch of seperate posts or not. What do you think? This method easier or prefer five or six individual posts? Any case, the latest is a TF pinball machine, a look at more 3rd party figures, TF Prime concept art, repaints and a review. Third party Transformers maker iGear announced the next two toys in their not Masterpiece line. They are release cartoon version of not Starscream (December 31st) and not Skywarp (April 30th, 2012) that is based on their modified mold from Takara's Masterpiece Starscream that was released three or so years ago. The newish mold started with their recently released conehead seekers where the back leg wings have been modifed to eliminate the ball joint connection at the hip resulting in a better looking figure. Based on the coneheads, the retail cost will probably be around $130 each. Speaking of iGear, they also revealed the near final look at their next not Generation One Transformeer knockoff with a look at their not Sharkicons based on the Quintessons' evil minions from Transformers: The Movie. Not sure on size, release date, or cost. Keep hoping they will be so cheap that you could practically create an army of them but not holding my breath on that. It seems that Takara is prepping a new way of legends class toys based on the Generation One line. The first wave was released earlier this year by Hasbro but good luck finding them as I know I never found them at retail. This second wave, made up of Prow, Silverstreak, Hound, Rodimus, Starscream, Skywarp, and G2 Prime and Megatron is set for release on December 10th in Japan. 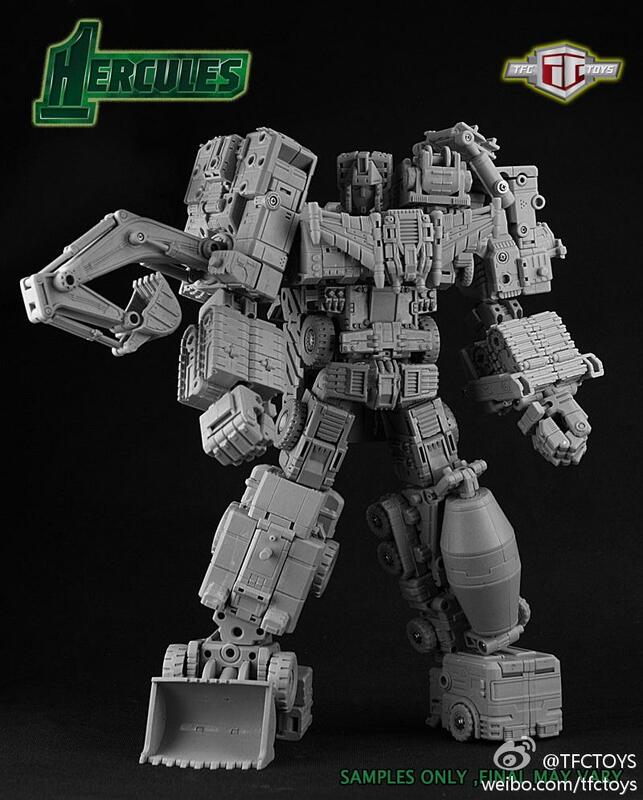 The 3rd party company TFC Toys has revealed the mono-colored prototype look at their Hercules (not Devastator) that they are developing. They have already released one of their not Constructicons for the merged figured, another one is coming in a few weeks and at the link is a look at the four last not Constructicons in the pipeline. The company also has other not TF toys in pipeline with pics here. 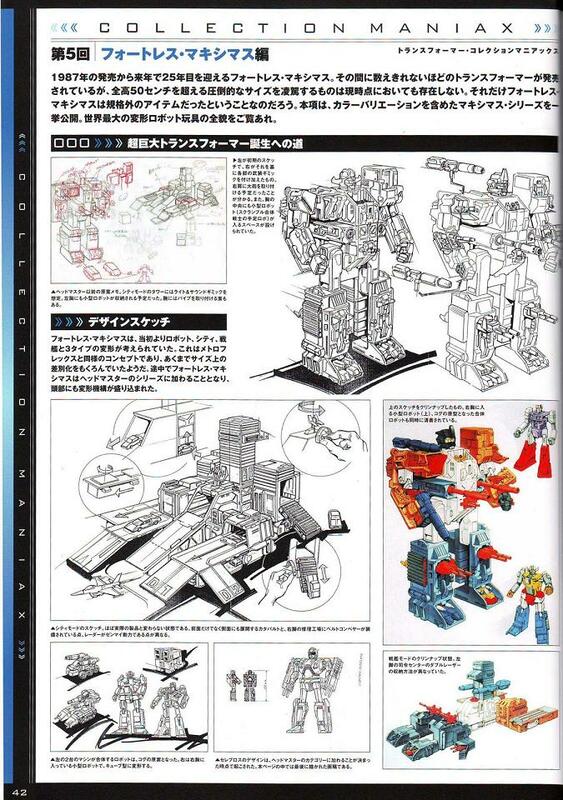 Allspark has posted images of pages from Transformers Generations vol 2 that takes a walk down Transformers memory lane both past and present. 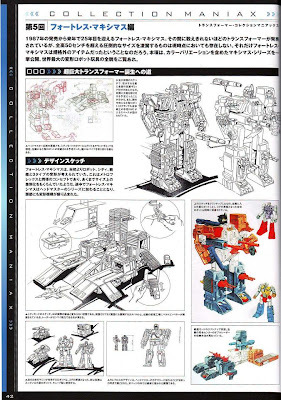 The samples images on the site show the sketch designs for the upcoming Masterpiece Optimus Prime version 2, a look at the development of Fortress Maximus, a rare TF from 80s due to its than $100 price tag (luckily, I got one then) and even more concept designs through the years. Checking Amazon the book itself isn't available. I assume it’s currently for Japan market only. Hit the first link for official images of new DOTM repaints from Hasbro. The list includes Vortex (Tomahawk repaint), Skywarp (Starscream repaint), Cyberfire Bumblebee and Specialist Ratchet (red paint scheme). The next two links is a look at new waves of Star Wars Crossovers, worth checking out when picking up a copy of Blu-ray Star Wars this Friday. 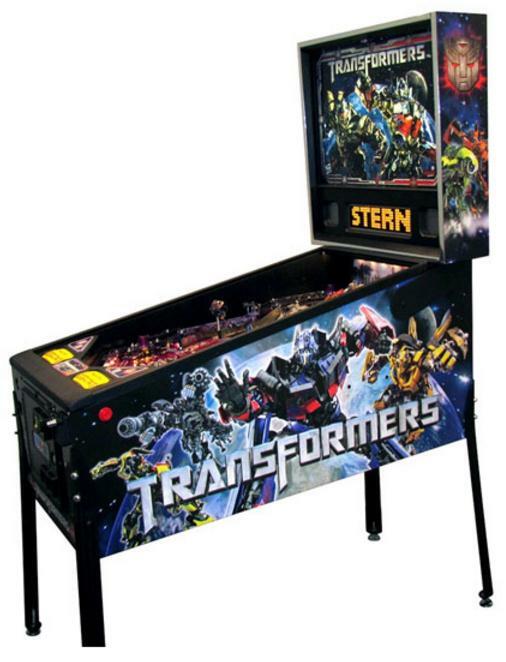 Stern Pinball has provided a look at their upcoming Transformers pinball machine based on the movies. There will be four version total with unique features to each. The main one is TF Pro ($4795) along with a 500 model LE (no price), an Autobot (no price) with run of 99 and Decepticon (no price) version of only 99 made. The stats and description can be found here. Peaugh has posted a review of the second not Insecticon from Fansproject. Stormbomb (not Bombshell) is a 3rd party figure (hence the "not"s) that is pretty sweet remake of the Generation One toys. The Insecticons were always a strange addition to the G1 line and remain so even with these improved versions. Really these $50 each toys are probably only worth it if huge G1 fan but otherwise probably not worth it. Since I am one, the three are on my to-buy list. I'm probably not the best to give feedback on this particular post as I'm more into the posts regarding the movies & the SFX than the transformer toys (blasphemy I know). But I'm definitely digging the new image viewer.